The Greater Newark Mini Maker Faire is a showcase of creativity and innovation in the New Jersey and surrounding communities. The event invites makers (individuals, groups, industries and K-12 to universities) to present their projects that explore DIY (do-it-yourself) thinking, reveal their process and show how materials are pushed to their limits. Whether it’s science explorations, woodworking, robotics, beekeeping or e-textiles this event will explore it all with the Museum’s art and science collection as the ultimate ‘maker’ examples. Here is a list of ideas and projects, but this is just a starting point. Makers – amaze, amuse and surprise us! Greater Newark Mini Maker Faire: Saturday, April 5, 2014, 10am – 4pm. *Tickets to attend the event are not yet on sale. Check back for ticket sales in February. Click on the “Makers Apply Here” box at the top right corner of this page. You’ll receive information about the event schedule, your space, load-in and tear-down times and instructions. You’ll also receive a Participation Agreement, which includes a liability waiver. 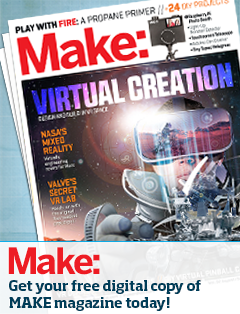 This entry was posted in Uncategorized and tagged call for makers. Bookmark the permalink. Very energetic article, I loved that bit. Willl there be a part 2?